Juliana became the Executive Director for The Watershed Project in January 2015, after serving as the Deputy Director for three years. Before taking the executive role Juliana managed The Watershed Project's Community Programs. Prior to joining the Watershed Project back in 2008, Juliana was the Watershed Coordinator for the San Pablo Watershed Neighbors and Education Society - SPAWNERS and a founding member of Groundwork Richmond. She holds a PhD in Geography from Kings College London and an M.S. in Environmental Sciences from the State University of New York. Juliana is originally from Colombia, where she worked on watershed planning and policy development for the Andes of South Western Colombia. Juliana has a passion for community based projects and believes the importance of education and community based stewardship. Juliana lives with her husband and her two children in the Baxter Creek Watershed. Helen manages the Creek Monitoring and Wild Shorelines Programs for The Watershed Project, and is also the Watershed Coordinator for SPAWNERS. Helen grew up on the Central Coast of California and studied marine biology at Cal Poly, San Luis Obispo. She went on to manage a research lab at the University of California, Santa Barbara, where she investigated the impacts of nanomaterials on aquatic food webs. While the work was fascinating, what she really wanted to do was get outside and work with nonprofits. 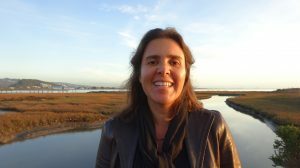 She moved to the Bay Area in 2013 to achieve that goal, and has since worked with San Francisco Baykeeper, Friends of Five Creeks, and Friends of Sausal Creek, as well as The Watershed Project and SPAWNERS. Helen lives in the Strawberry Creek Watershed. Paula became involved with The Watershed Project through her interest in researching trash in local streams. She led the Richmond data collection effort for the Taking out the Trash Project and is currently the Project Coordinator for the Waste Matters Project, an environmental education program that involves students in hands-on actions to reduce their environmental footprint, such as composting lunch scraps and working in the school garden. Paula has an M.A. in Geography from San Francisco State University and also holds a B.A. in Linguistics from the University of Chicago. She gets her kicks from playing soccer and fiddling in baroque orchestras and ensembles. She lives in the Potter Creek Watershed but prefers hiking in her old 'hood, the Lion Creek Watershed. Kat is a rainwater catchment specialist with experience developing programs to strengthen urban stormwater infrastructure with rainwater harvesting and LID strategies for the San Francisco Unified School District, the City of San Francisco and the City of Oakland. She is inspired by activities that bring people together to enliven their communities and strives to build bridges between civic agencies and grassroots environmentalism. Kat brings these skills to The Watershed Project as a Program Manager for the Greening Urban Watersheds Initiative, implementing projects that green the city of Richmond. She holds an MA in Organic Architecture from the San Francisco Institute of Architecture. Sharon brings a strong interest in environmental issues to The Watershed Project, especially as they impact the Bay Area. 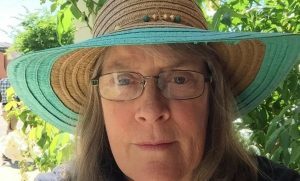 She has volunteered with local creek groups, adopted a creek site to take care of, and is a member of Golden Gate Audubon. Sharon has a Montessori Early Childhood Degree and a Masters in Counseling, and has worked in San Pablo as a therapist and an outreach coordinator. Sharon is particularly interested in introducing students and their communities to urban greening sites, using them as outdoor classrooms to teach about nature and stewardship. Sharon lives in the Cerrito Creek Watershed. Nikki combines her love of the outdoors and a passion for teaching environmental education in her role at The Watershed Project. She earned her B.A. in environmental studies, biology and earth sciences from UC Santa Cruz, and had her fill of "real winter" while she earned her M.S. in environmental education and program evaluation from University of Michigan School of Natural Resources and Environment before returning to her beloved Bay Area. 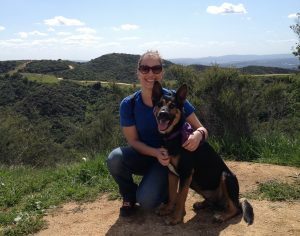 Her favorite local outdoor adventures include hiking in the Marin Headlands among redwoods and jumping into the ocean. Nikki lives in the Marin Creek Watershed. 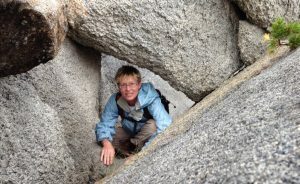 Anne is passionate about connecting people with the natural environment through education and action. She earned her B.A. in Environmental Analysis from Pitzer College and spent several years in Claremont, CA designing and implementing sustainability programs for government and nonprofit organizations. A desire to return to her home region of the East Bay Area and gain further experience in environmental education led her to join The Watershed Project as a Climate Corps AmeriCorps Fellow. 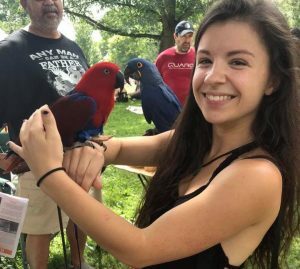 She has since stepped into a full-time staff position, and is thrilled to continue engaging people of all ages with nature in their backyards. Anne enjoys tap dancing, playing piano, and hiking with her dog, River. She lives in the Walnut Creek Watershed. Chloe is a BAYAC AmeriCorps fellow who joined The Watershed Project to inspire environmental stewardship in youth. She moved to the Bay Area from Cleveland, Ohio after graduating from Ohio State University in May 2018 with her B.S. in biological engineering. Chloe can be found exploring the Bay Area, hiking, and scouting out local festivals. She is most looking forward to educating others on the great impact they can have on the local watershed. Sara graduated from Richmond High School, and was a part of Earth Team's internship program. She joined The Watershed Project Green Collar Corps as a way of giving back to the community. Sara is currently a growing leader in her community, recently promoted to Outreach Coordinator to further her community organizing skills. She is actively part of the North Richmond Resident Leadership Team and has also been admitted to this years Urban Habitat Boards and Commissions Leadership Institute where she is learning equitable polices in regards Land Use, Transportation, Housing Justice and Environmental awareness. Washington-Canada border. 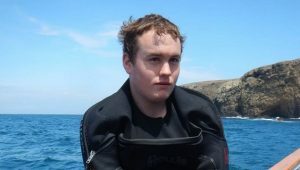 He joined The Watershed Project because he realized the plethora of problems we see in the ocean cannot be solved there, the solutions must come from upstream. He is currently studying for a B.S. in Marine Biology in order to further his knowledge and passion for our aquatic ecosystems. Calvin lives in the Wildcat Creek Watershed. 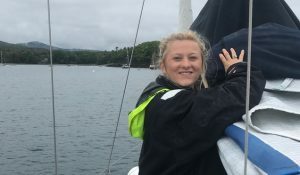 Sarah started as a Restoration and Water Quality Associate in October, 2018 shortly after her move to San Francisco. Sarah graduated with a bachelors of science from UC Santa Cruz where she studied Marine Biology. 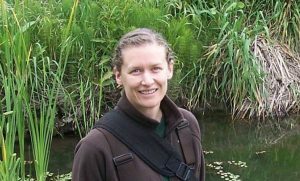 She is very passionate about field research and continuing her education in the environmental science field. 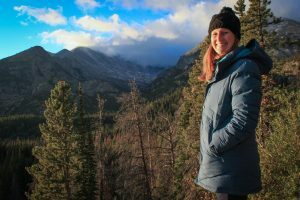 Her desire to learn more about the non-profit world and love for citizen science brought her to The Watershed Project.